A woman in the audience once handed Elvis a crown saying, "You're the King." "No, honey," Elvis replied. "There is only one king -- Jesus Christ. I'm just a singer." 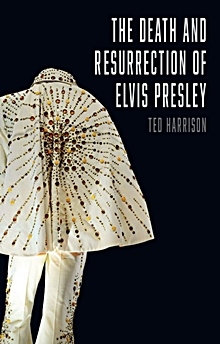 Gary Tillery presents a coherent view of Elvis's thoughts through such anecdotes and other recorded facts. Elvis came to believe that the Christ shines in everyone and that God wanted him to use his light to uplift people. And so he did. Elvis's excesses were as legendary as his generosity, yet, despite his lethal reliance on drugs, he remained ever spiritually curious. This intimate, objective portrait inspires new admiration for the flawed but exceptional man who said, "All I want is to know and experience God. I'm a searcher, that's what I'm all about." Theosophical Publishing House, Wheaton Il. ; Chennai, India, 2013. Chronology, Notes, Bibliography, Index. 230 pp. Given that so much has been written about Elvis Presley's life, including at least a dozen books about his spiritual search, is there anything new to say? I think there probably is. The Seeker King by Gary Tillery is one of a set of three spiritual biographies. 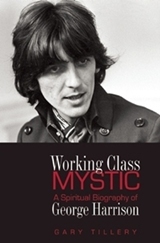 His other subjects are John Lennon (The cynical idealist) and George Harrison (Working class mystic), which provide some interesting comparisons. The Seeker King is divided into five parts, each of which is subdivided into three or four chapters. The parts address different eras of Elvis's life, showing that he had a sound Christian foundation in the Assembly of God Pentecostal Church and was on a spiritual search throughout his life. Related character traits, such as extreme generosity and kindness towards others were also evident from early childhood. Despite his problems in the 1970s, his interest in matters spiritual remained, and the book he was reading when he died was The shroud of Turin. Elvis's spiritual search encompassed Hinduism, Buddhism, Gnosticism, Judaism and Theosophy. For a while he frequented the Self Realization Fellowship (SRF)'s Lake Shrine in California, founded by Paramahansa Yogananda (1893-1952), where he wanted to undertake a two-year instruction in Kriya Yoga from Yogananda's disciple, Sri Data Maya. His spiritual interests were more akin to Universalism - doctrines that claim religion as a universal human quality - rather than solely Christian. During his life, he pondered about his purpose here on Earth. This book is set in the context of the Great Depression and world politics: World War II, the Cold War, the nuclear age and the Vietnam War. Elvis attended the Assembly of God Pentecostal Church, which featured singing, uninhibited swaying and faith healing. He also snuck into the East Trigg Baptist Church, the congregation of which was Afro-American. He formed an enduring love of Gospel music. 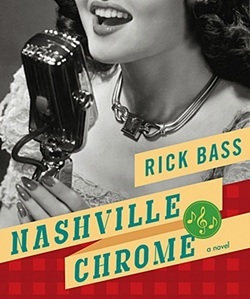 He listened avidly to music on the radio, which was colour-blind. Who knew the colour of the singers? In 1956 June Juanico gave him The Prophet by Kahlil Gibran. In 1958 his mother Gladys died, almost leading him to mental breakdown, guilt being a factor. His father Vernon blamed Elvis for neglecting his mother. 1964 saw the hiring of Larry Geller as hairdresser, who became Elvis's spiritual mentor. Elvis read widely and transformed into a more circumspect person, putting a damper on the childish antics of the Memphis Mafia, much to their disgust. He experienced a religious epiphany in the desert. 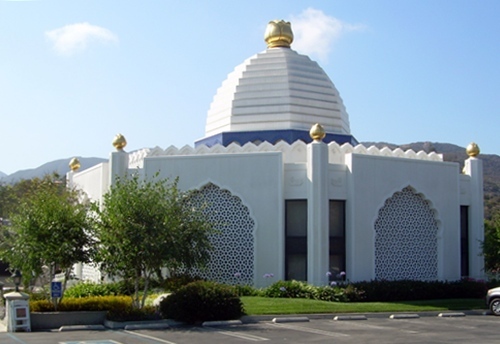 He attended the SRF's Lake Shrine, wanting to commit to a two-year course on Kriya yoga, but didn't follow through. He hoped to develop special powers, and indeed did appear to be able to make bushes and clouds move. He also practiced faith healing by the laying-on of hands, learned from the Assembly of God Church. Geller was met with hostility from the Memphis Mafia and from manager "Col." Tom Parker. Priscilla also criticized Elvis's spiritual pursuits to his face. In the mid 1960s Elvis experimented briefly with psychedelic drugs but his real problem was prescription drugs. In 1967 he suffered a fall and concussion. Parker took advantage of the occasion to drive Geller away, accusing him of exerting mind control over Elvis. The Memphis Mafia were pleased that the hijinks and wild behaviour were back. Parker encouraged Elvis to marry Priscilla, and she had a hand in the Burning of the Books (his large collection of books on spiritual matters). 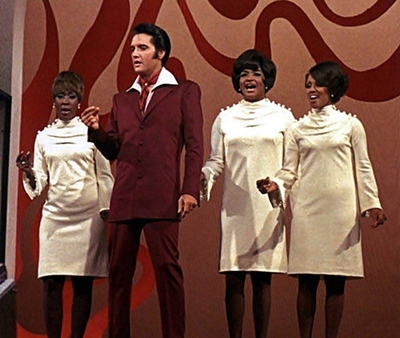 Elvis successfully came back to live performances, starting with the 1968 Comeback Special. From 1969 he performed in Las Vegas and went on concert tours. Geller eventually returned to Elvis's circle after attending a concert in Las Vegas. In the mid 1970s Elvis's health deteriorated and his behaviour became bizarre, including an obsession with police badge collecting and acting like a police officer - carrying a pistol and handcuffs and stopping speeding motorists. Also weird was the trip to Washington in 1970 to ask President Nixon for a badge to become a federal drugs enforcement agent. Amazingly, it succeeded. Elvis reached the point where he would listen to no-one, having the addict's erroneous attitude that he could take or leave medication at will. When Priscilla left him he wanted her new boyfriend, Mike Stone, killed but backed down. Linda Thompson, who was his girlfriend from 1972 to 1976, helped him stay alive. His public performances became erratic and he received bad reviews. He sacked entourage members Red and Sonny West and Dave Hebler, who then planned the book Elvis: what happened? This apparent disloyalty hit him hard. His last girlfriend, Ginger Alden, didn't share his interests. She was the one who found him dead on the floor in his bathroom - with the book The shroud of Turin. The reasons for Elvis's decline were loneliness, boredom and depression. "Col." Tom Parker is to be credited with launching Elvis's career and making him wealthy, but in the long term Parker was only interested in money, not in Elvis's artistic abilities or development. He stunted Elvis's career by locking him into long contracts. The Memphis Mafia ("The Twelve") didn't understand or appreciate Elvis's spiritual views, nor did Priscilla at the time. So there were very few people he could really confide in and talk to. However, this may not be entirely true - according to a non-standard source, he spent a fair amount of time on the telephone and had "telephone friends". In later years, boredom and disappointment that his career was going nowhere led to his increasing addiction to prescription drugs, which in turn affected his physical condition, moods and behaviour. Strong painkillers can cause problems such as colon blockage, which he suffered from. He was told by Sri Daya Mata that the goal of SRF was to strike a balance between body, mind and spirit, but that he was letting his body go; he should focus on exercise and proper nutrition. Elvis failed to heed this advice, believing in "mind over matter". The final chapter, "Epilogue" is called Saint Elvis and discusses possible paranormal happenings at the time of, and after, Elvis's death. In his live performances he could cast a spell on his audiences with his larger-than-life presence, his charisma and psychic energy. The qualities that make him saint-like are what he is remembered for, not his shortcomings. Specifically, these are his generous spirit, his compassion for the sick, his healings, his help for people in difficult situations and his large annual donations to charities. He inspired veneration. Elvis repeatedly questioned his purpose in life. He decided that he was on Earth to uplift people and make them happy. I suggest that his purpose was much broader. Through his actions and songs he was a unifying force, counteracting racism (viz. the song "If I can dream", based on Dr Martin Luther King Jr's speech "I have a dream"), demonstrating love and compassion, helping friends and complete strangers, and awakening spiritual awareness in others. The messages are still there in his songs and still affect people today. 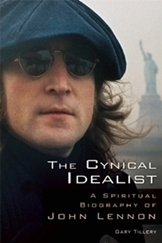 Tillery also wrote spiritual biographies of John Lennon and George Harrison, being the two members of the Beatles who were interested in spirituality. So all three - Elvis Presley, John Lennon and George Harrison - had an impoverished, working class background and wanted to elevate the human spirit. Elvis and George Harrison practiced meditation and were interested in Eastern religions; they had great compassion and empathy for the suffering of others. Both tried and renounced mind-expanding drugs. All three were thinkers and searchers for truth and each was great in his own way. 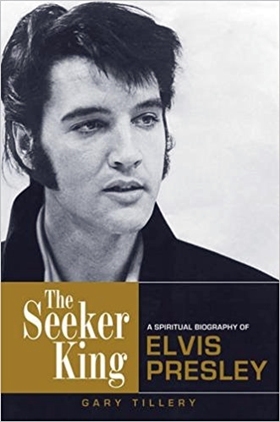 Overall Verdict on The Seeker King: So much has been written about Elvis that it could asked whether The Seeker King contains anything new. There are at least a dozen books about the spiritual side of Elvis. But many standard reference works spend more time documenting every aspect of Elvis's life than on commentary and analysis. Tillery has drawn on the standard reference works but also researched other sources too. He doesn't just recount the Elvis story: he highlights important events in Elvis's life, discussing their significance and impact on Elvis and his spiritual progress. 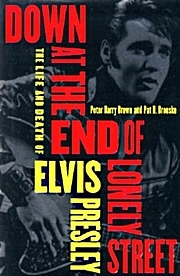 While there may not be many new facts in this book, there is more analysis and perspective of where Elvis fits into the scheme of things.